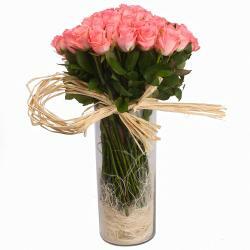 Product Consist : 60 Pink Roses with green fillers in Cellophane Wrapping with Ribbon Bow on it. 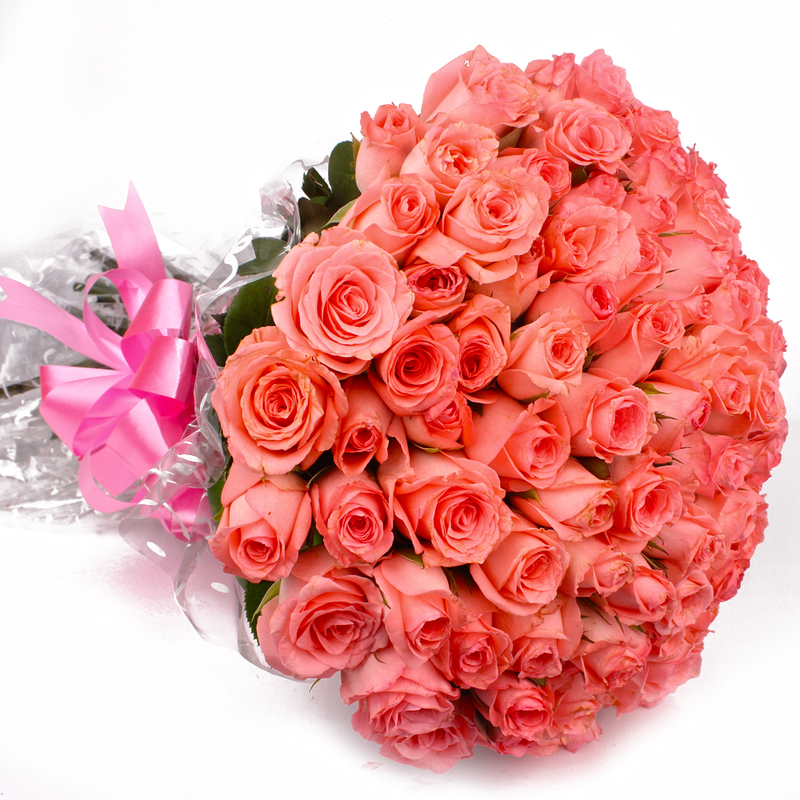 Whether you are looking to get the attention of a certain someone or letting her know she is the one, you cannot go wrong with a classic. 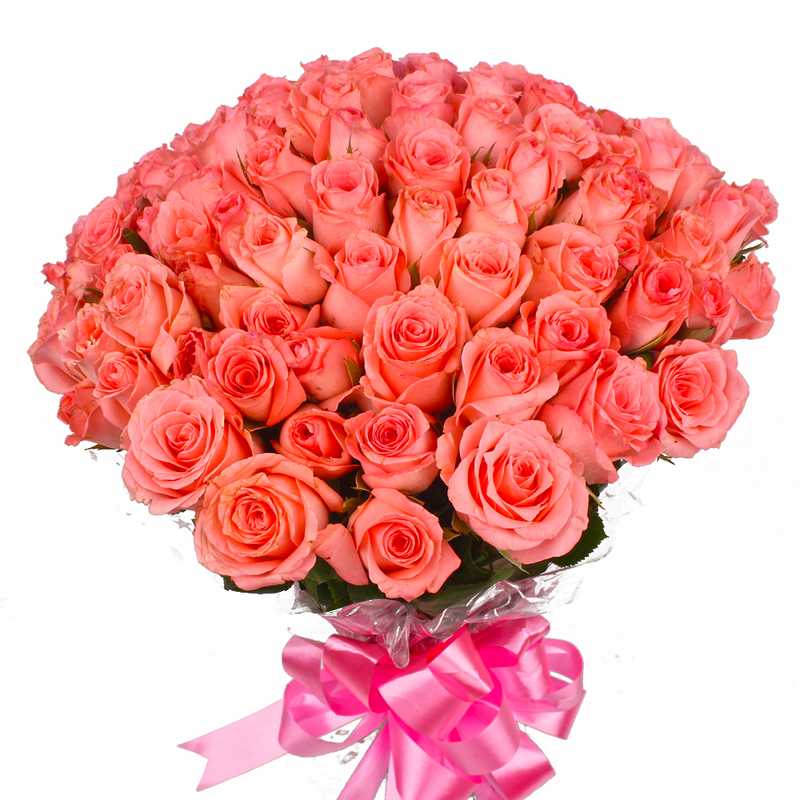 Sixty Pink roses are hand-designed by our expert florists and arranged with cellophane wrapping and ribbon bow to help your express your feelings in the most romantic way possible. 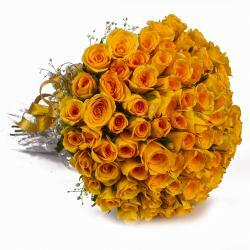 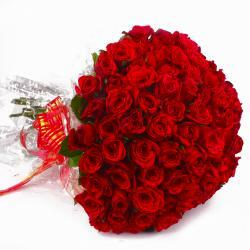 You can send this beautiful flowers for Birthday, Anniversary, Romantic Gift, Valentines Day, Missing You and many more such occasions. 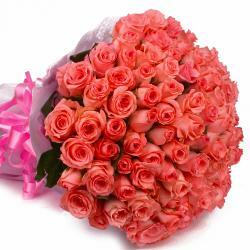 Product Contains : 60 Pink Roses with green fillers in Cellophane Wrapping with Ribbon Bow on it.